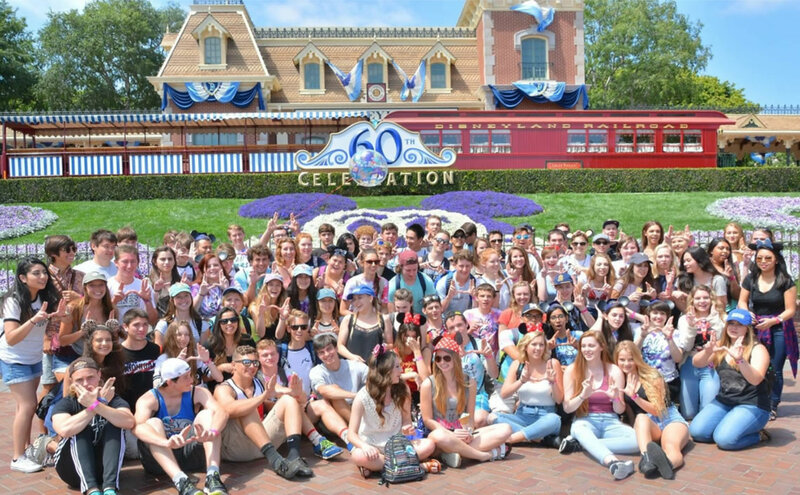 Class trips and traditions enhance U-Prep’s safe, supportive, and rigorous academic environment. Through shared experiences, trips and traditions, students build memories and make curricular connections that contribute to scholarly academic and behavioral outcomes. This page provides a glimpse into some of the cultural and traditional activities that underpin the school’s culture of academic excellence. 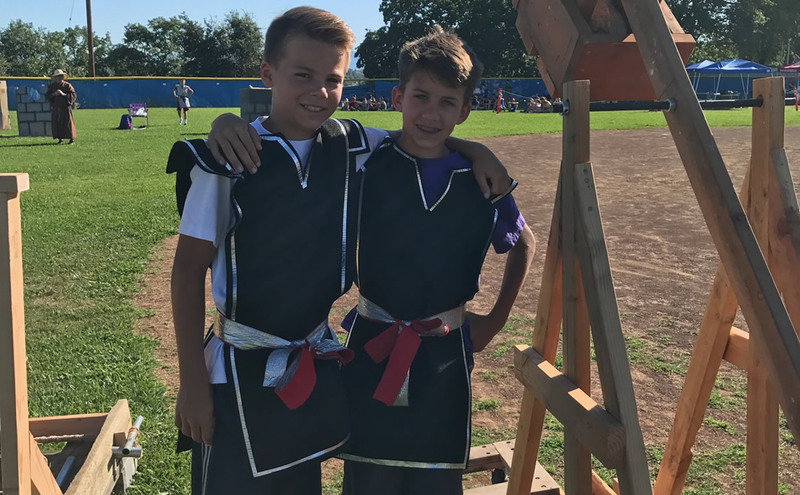 “Ancient Civilizations Day,” as the name suggests, is an opportunity for 6th grade students to celebrate everything they learned about ancient civilizations (Prehistory to Rome), throughout the school year. 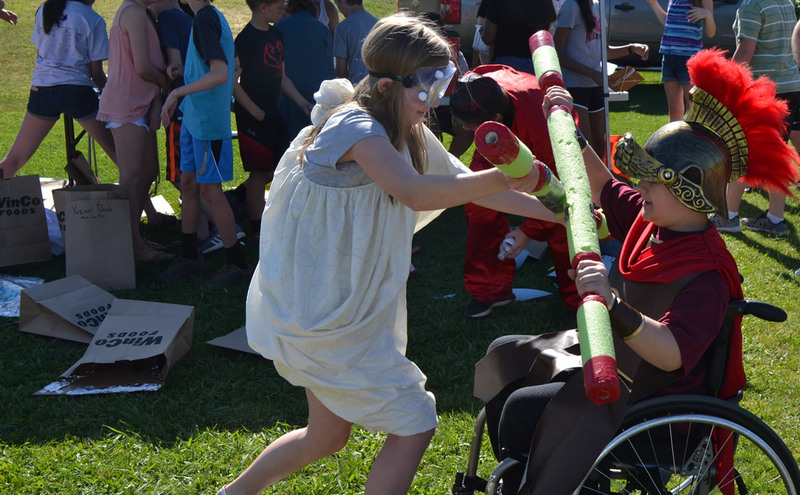 During this event, students travel to different ancient civilizations and participate in a variety of crafts and games themed to that civilization. Parent volunteers are an integral component in creating this successful festival-style event every year. The Medieval Day festival is a great opportunity for students to immerse themselves in the Medieval European culture, a focus of study in social science. Medieval Day represents a “Medieval faire” and features a variety of organized activities and seminars that make this an enjoyable experience for all involved. These activities range from jousting, juggling and archery, to crafts and games. In past years, the Turtle Bay Animal Program has attended and brought several “Birds of Prey” and many medieval animals from their site for a dynamic presentation. Cross-age learning experiences reinforce the importance of community and provide the opportunity for mastery of content through application. 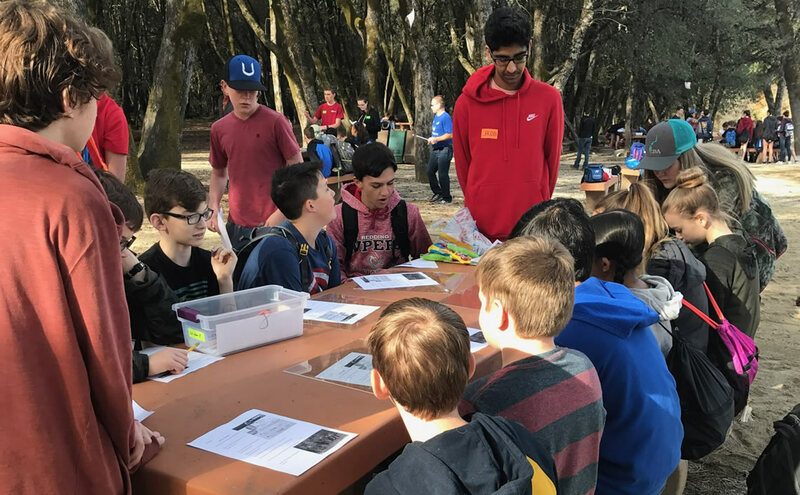 Advanced Placement Biology students organize and facilitate hands-on science stations at Whiskeytown National Recreation Area. Seventh grade Life Science students engage in lab-based field experiences while interacting with older, more knowledgeable high school students. Students integrated their learning not only in science, but in their writing for English Language Arts. 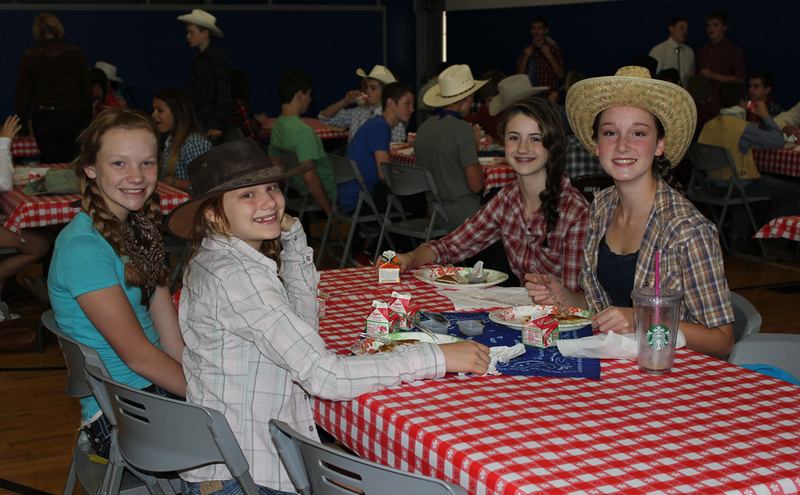 Westward Ways Day is an entertaining day full of activities that allow students the opportunity to get a real life glimpse in to what it must have been like in the early days of the west. The morning begins on the quad with the Asphalt Cowboys cooking up a hearty pancake breakfast for all of those in attendance. Hay bales abound, ranch chores become fun, learning activities and there may even be a chance to learn to rope a “cow”! The freshman class trip to Patrick’s Point State Park is an annual fall tradition that 9th grade students look forward to and one that upper-classmen remember fondly. 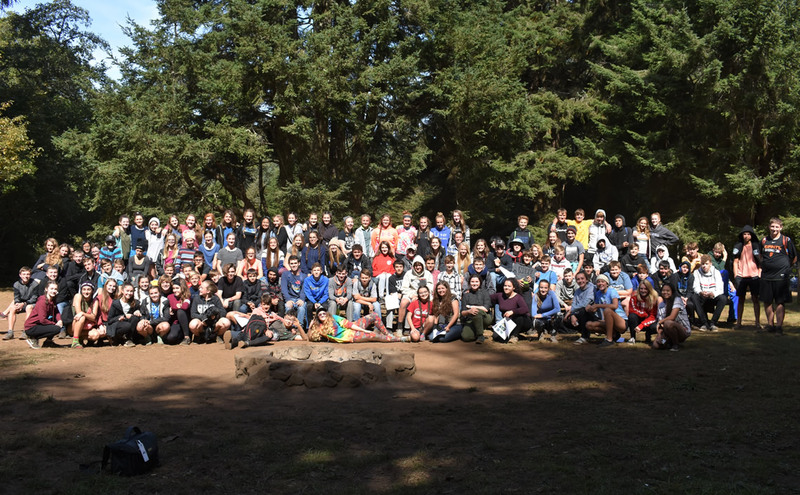 U-Prep faculty, with the help of parent volunteers, provide a memorable adventure for the students to the beautiful Humboldt coast for 3 full days of hiking, nature viewing, cook-outs, tide-pooling and even a visit to Humboldt State University. Each spring the sophomore class looks forward to their annual adventure in and around Ashland, Oregon. 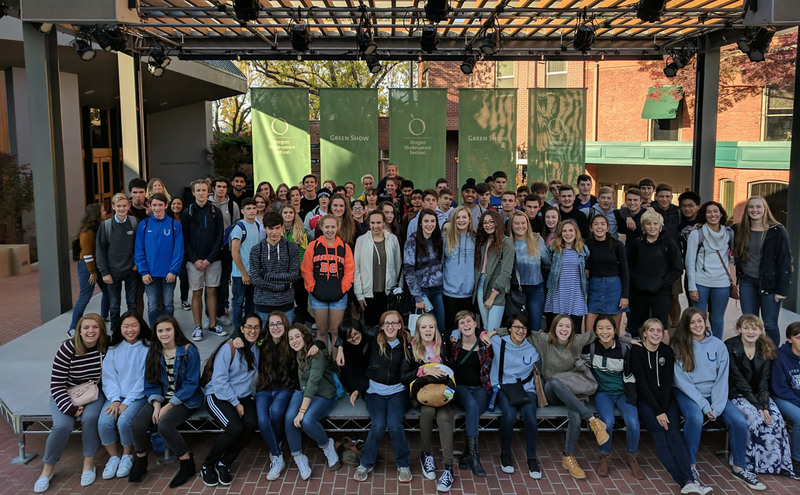 3 full days and 2 nights of OSF plays, a tour of Southern Oregon University, shopping in downtown Ashland and exploring the nearby outdoors are all part of the trip. 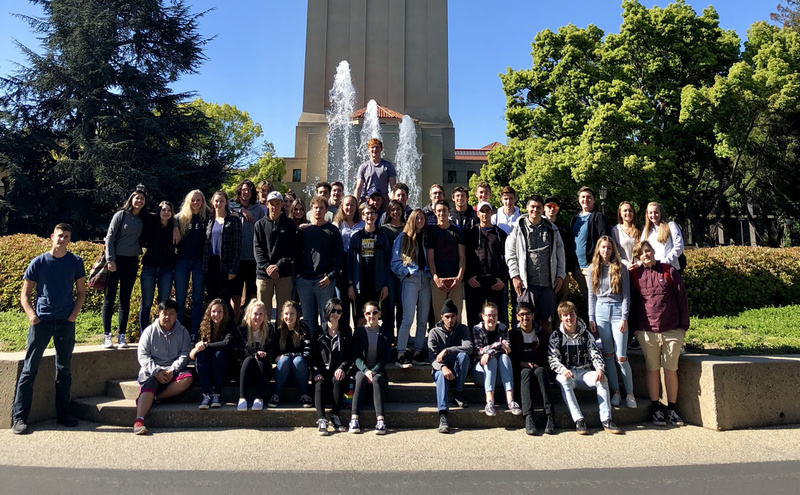 On October 19th and 20th, approximately 40 U-Prep juniors journeyed south to tour three college campuses: UC Berkeley, UC Davis, and CSU Chico. The three tours were very informative and enjoyable; it was a treat to visit with U-Prep alumni who are attending those schools. As if college tours weren’t enough fun, there was also a bit of time to take in a women’s soccer game (Oregon vs Berkeley) at UC Berkeley and indulge in some shopping. A good time was had by all who attended. Senior year would not be complete without the ultimate end of the year trip known as Grad Nite in Disneyland. 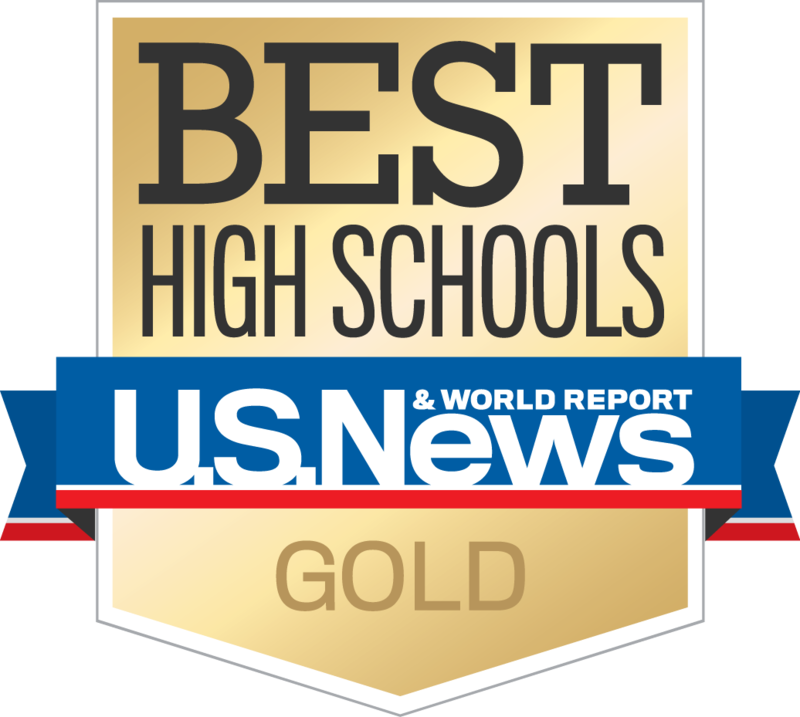 Seniors, accompanied by senior class faculty, share a once-in-a-lifetime experience where they have the opportunity to create a night of high school memories.